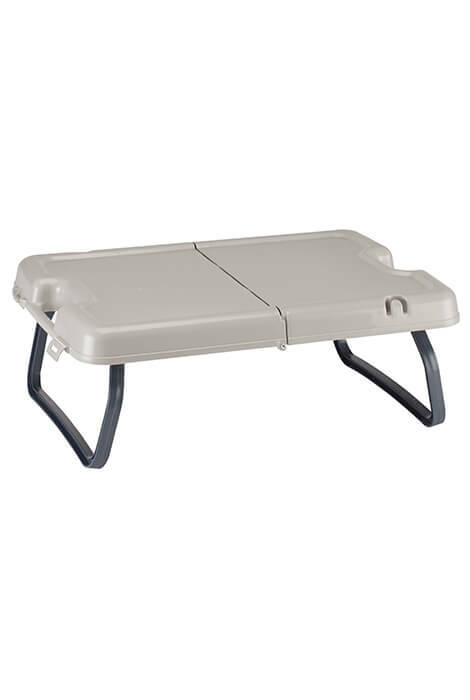 Table surface measures 19 1/4" x 12 1/4"
2-in-1 Folding Table/Storage Case eases everyday living. 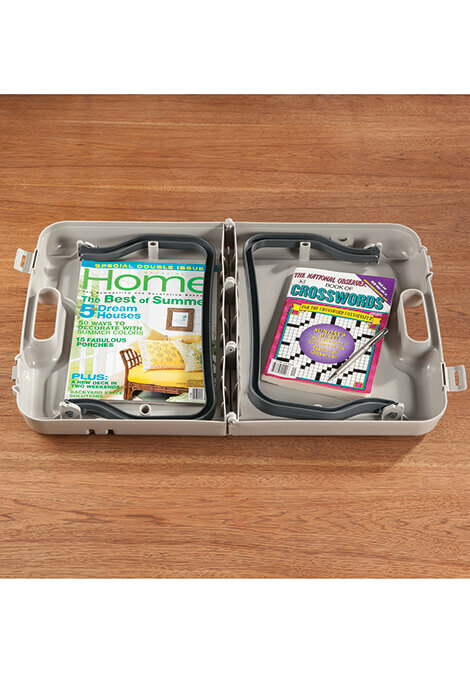 Storage tote features a built-in handle, double latches, and plenty of space to tote craft supplies, games and more. 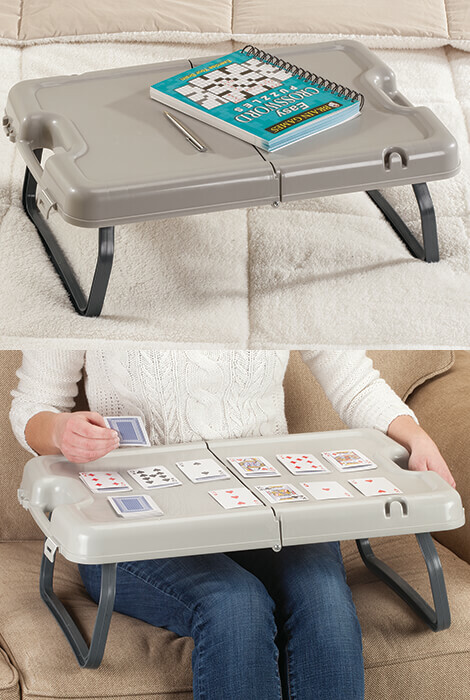 Open the case and legs, and you have a sturdy portable bed tray perfect for eating, writing and much more! Easy-to-clean table surface measures 19 1/4" x 12 1/4". 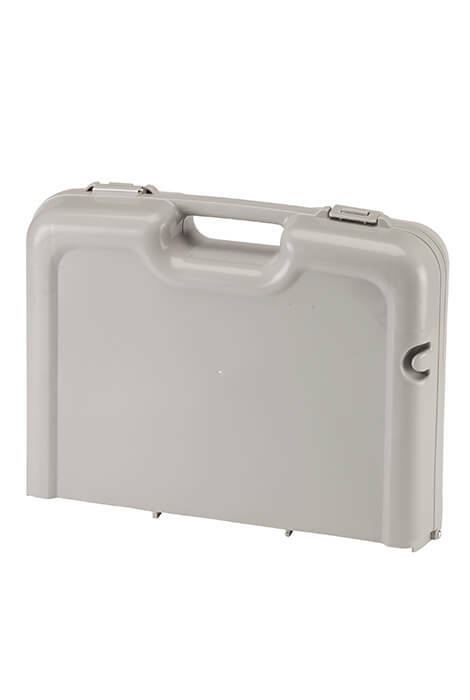 Polypropylene. Wipe clean with damp cloth.